WOW, well I can certainly say that this has been the best company I have dealt with when buying a vehicle. I would certainly recommend dearly to all my friends and family, as well as new viewers to this site. Not only are ALL the staff friendly and genuine, they really do go above and beyond to help and find the best for you. A smooth, quick and stress free service, where all the work is completed for you, ready to drive away. I have nothing but good things to say about Global Automobiles and when ready to upgrade my Jimny (which is running like a dream), I will not hesitate to go back. Once again a BIG thanks to all of you, for all your help, you've been amazing and it's been a pleasure. Hi Junior and Ashley, just wanted to say a huge thank you to you both for the quick and efficient service today. Love the car and from arriving to, insuring, taxing and driving away in my BMW, all in less than an hour. Brilliant service and wouldn't hesitate in recommending you to family and friends. Living in London and buying a car in the North, sight unseen, was a very difficult decision. However, with the help of all your photographs, and detailed information combined with your patience and integrity gave us the confidence to go ahead. The car has arrived and everything that you said is exactly what we have received. We are more than delighted with you and your company's service and would have absolutely no hesitation in recommending you. Thank you for all your help and patience in answering our numerous questions We are absolutely thrilled with the car. Just wanted to thank you for looking after my Dad with the LS430. He is over the moon and cant speak highly enough about the service you offered, especially when he got lost !!! Can't thank you enough for looking after Dawn on Saturday - she's absolutely delighted with her car. Thanks for the tour of your garage Junior - so tidy and clean. Lovely to see a family Firm do so well. Best wishes for the future and thanks again gentlemen. I will be collecting a car for my wife on Sunday and have a 500 mile round trip to travel. Never thought to purchase a car so far away from home before. So excited as the level of customer service so far from Junior has been outstanding. So far Junior has made buying a car so easy and has been happy to answer all my questions in super fast time and reassure me on everything I wanted to know. Nothing has been to much trouble for him so far and I'm sure the car will be just as described after its made ready for collection. Part exchange price was same as some other dealers better than most, everything else has so far surpassed all other dealers I have dealt with to find a car for my wife. Recommend Junior and this company as totally professional and honest company to buy a car from. Big thank you up to this point and I'm sure I will be sending more thank you notes once I have the car. Recently bought a Lexus IS220D and can't fault the excellent customer service. The car was out front ready to view/test drive when I arrived and Ash could not have been more helpful. The car was as described and when I questioned the brakes & alloy wheels Ash told me they would sort the brakes & refurbish the wheels. When it came to picking up the car everything was done including new discs and pads. Thank you very much Ash for the excellent service throughout. Dear Junior, we would like to thank you very much for the excellent service, professional, polite, helpful and very friendly. We have had the Fiat Doblo now for just over two weeks and all it leaves us to say that it drives and performs very well and we are more than happy with our purchase. We would definitely recommend you without hesitation. Once again many thanks from Jan and Peter. Would just like to thank Ash and the team for my recent smooth purchase of a Kia Sportage. Absolutely in love with my new wheels! Customer service exceptional from start to finish. Ash went above and beyond what I expected. Brilliant service overall and quality car bought. I will definately be recommending this garage to family and friends. Thank you. I collected the Landcruiser on Friday evening. Exactly as you described much appreciated. I have not had the car 24 hours yet - but I love it already. I bought it from Global Automobiles in Blackburn and they gave me lots of information regarding the cars performance, reliability and running costs which was really helpful. Its the first time I have bought a car on my own and they made it so easy. 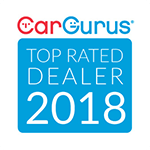 Excellent service and one of the most reliable Dealers I have dealt with. I bought a BMW from these guys last week. Junior couldn't have done more and even carried out a service to fix a brake problem without charge. Excellent customer service from the moment we arrived. Happy with the BMW. Will Definitely be back again in the near future. Just a bit of feedback regarding my recent purchase of above, what a good quality car at a good price both inside and out, performance well exceeds my expectations and good service from you to mate, thanks for that Ash. Thank you for the excellent service and attention I received when buying the Mercedes. Looks great, drives great, super value. Ashley in particular was both efficient and polite. Junior, we spoke about the Mercedes and your knowledge and enthusiasm for them was mesmerising. We were delighted by your attention to detail, the friendly way that you dealt with us and the efficiency of getting insurance and taxing the car. We particularly like the way that both Ashley and Junior spoke to their staff, they were polite to them and spoke to them as though they were all part of the same team. Too many times we hear the company management speaking to their staff as though they were second class citizens, this neither gives a good impression to the customer or persuades the staff to do their best. When they asked a member of staff to do something they both said please and also thanked them when the job had been done. We enjoyed buying our new car, the showroom was packed with shiny, well-looked after cars and this gave us confidence to buy from you. If we ever buy another car we shall look at your garage first and we shall recommend you to everyone. Just like to place the following testimonial re purchase of Jaguar XK8. Purchased over 40 vehicles in my lifetime, the experience from ALL at Global Automobiles was the best ever in purchasing our Jaguar XK8. If you want complete satisfaction with complete honesty and sincerity trust in Global. Thanks Ashley, nice dealing with you and the Boss. Enjoying my A Class now. Junior / Ashley, me (Warren) & Pauline cannot thank you enough for making our car purchase from you such a pleasurable experience. Really friendly, nothing to much trouble and the quality of the car for the money - exceptional! What a great touch the £20 fuel voucher is, normally when picking up a new car you can only just make the petrol station. Two very happy and satisfied customers who would recommend Global Auto's without hesitation. A pleasure doing business with you both. Can't thank you enough for the service you have given us. It is far and well above what we have experienced before elsewhere. Just a quick note to thank Ashley and the team for all their hard work, dedication and professionalism during my recent purchase. The cars are all well presented, mainly high end motors and provide excellent value for money. I would not hesitate to recommend Global Automobiles to anyone thinking of upgrading their existing vehicle. Just a quick update to say how pleased I am with the Mercedes C350 I bought from you last Sunday. The deal from first phone call through to test driving and purchasing was smooth and efficient. The car was exactly as described and a bit of a bargain in my opinion! I am one of those people who are quick to moan when things do not go well, so it's only fair that when I get great service I should also say so to. Thank you Junior, I am a very happy customer indeed! Hi everyone at Global Auto's. Just wanted to write and give any customers thinking of buying from you some feedback for your company. Folks, I have to say these guys are amazing. I recently purchased an MB E Class. It's AWESOME!!! A beautiful car at a very competative price. They went the extra mile and transferred (and fitted) my private plates to my new car then even delivered the car to my business premises in Rochdale. It makes a great change to have a car dealer that provides this kind of customer care. If your thinking of buying a used car from them they come highly recommended. Well done everyone at Global Auto's. My wife is after a new car soon so you can expect to see me again in the near future. Just wanted to say a Big Thank You to you and your team on the way you prepared the Saab 9000 and did exactly what you said you would. The car ran beautifully on the way home (280 miles), never missed a beat. I am very happy with it and it is a credit to it's previous owner. I will have no hesitation from buying from you again and will recommend you to my colleagues at Bentley Motors Ltd, Crewe (where I worked until Jan 12) and also Rolls-Royce Motor Cars Ltd, Chichester where I work as a Product Quality Manager on Phantom. The Saab is not quite the same class of vehicle but it is a lot different in value! I bought a Mercedes Diesel E320 last September. Great car driving well and looking good. I was very well treated by Ashley and yourself and said so at the time. I was checking your website to replace my wife's car and saw the glowing tributes from other satisfied customers. I agree, great website and great service. I like the northern decency and would not hesitate to travel from Belfast again when the time comes to change. We are continuously looking to improve our services and we take your comments very seriously. Please leave us your comments.